Our practice was established in 1927 and is the oldest and largest in San Diego County with two convenient locations; one in San Diego and the other in El Cajon. 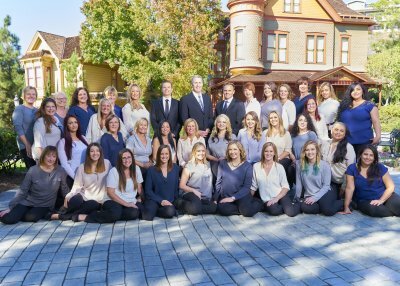 The Center for Oral & Facial Surgery team is made up of exceptional people who are committed to working in the field of Oral and Maxillofacial Surgery. We are motivated to achieve the highest standards of quality care. “To serve our patients with integrity and deliver the highest quality of professional care in a soothing and comfortable environment” is more than our mission statement; it is the philosophy behind everything we do. Oral and maxillofacial surgery requires additional years of hospital–based surgical and anesthesia training after graduation from dental school. Our experienced oral and maxillofacial surgeons (listed below) manage a wide variety of problems relating to the mouth, teeth and facial regions. We practice a full scope of oral and maxillofacial surgery procedures with expertise ranging from dental implant surgery and wisdom tooth removal to corrective jaw surgery. This also includes techniques designed to rebuild bone structure with minimal surgical intervention and optimal patient comfort. We can also diagnose and treat facial pain, facial injuries, and fractures. The surgical staff at the Center for Oral & Facial Surgery are experienced, certified oral and maxillofacial surgical assistants, who have completed specialized training as OMS Assistants and are CPR certified. We also have trained registered nurses (RN’s) who assist in the administration of IV Sedation and General Anesthesia in our state–of–the–art office setting. Patients are continuously monitored during and after surgery. Our administrative personnel are well-versed in health and insurance policies. Contact us today at either one of our two locations, to learn more about the procedures we provide or to schedule your first appointment.